Buoyed by the immense success of its four video poker titles launched in late 2016, online gaming designer and operator Win A Day has started its account in 2017 with a sci-fi themed penny slot. Known as Robot Escape, this brand new game has a very futuristic look thanks to the robots and droids featured on it. The game also has a free spins feature that you will really appreciate. It’s a vibrant looking game that you simply won’t be able to resist playing. Robot Escape has a fairly simple format thanks to its 5×4 layout. However, you’ll find that the extra row makes it easier for winning combinations to happen. As is the norm with newly released slots titles, Robot Escape has interesting features including Wilds and Scatters. The scatters are great fun because they can trigger a maximum of 10 free spins. What’s more, these scatters can be triggered 20 times if you are on a lucky streak. The wilds in the game aren’t the ordinary kind. They are the sticky kind and will stay in place for the next win, and leave open the possibility of creating additional winning combinations. If you find five droid symbols on an enabled pay line then you’ll win 500 times your initial bet. You’ll find that Robot Escape isn’t a very costly game to play. You can start wagering as little as 20p per spin and can go all the way up to £5. In other words, this is a very good game if you want to try your luck without risking a lot of money. Win A Day is a unique gambling site that has been around for more than 8 years now. At makes it unique is that it features a number of games that you will not find at other online casinos because they are made by its in-house design team. In fact, this makes the casino very popular with a certain section of gamblers who look for a site with its own personality and not necessarily a huge range of games to choose from. Incidentally, Win A Day belongs to the same company that runs popular site Slotland. Win A Day manager Michael Hilary said that the site’s customers are very happy with the selection of video poker games available on the site. There are 34 premium slots available on the site in addition to 19 penny slots. Even so, there has been quite a bit of demand for penny slots and this is why the company came up with Robot Escape. The company’s design team is also finalising the details for premium slot release with a romantic theme that will be released in time for Valentine’s Day. Win A Day Casino also has dozens of online casino games such as roulette, keno, and video poker. Most of the games featured on the casino can be played on handheld mobile devices. However, the company is currently working on an upgrade to its mobile games to ensure that they become even more accessible than at present. 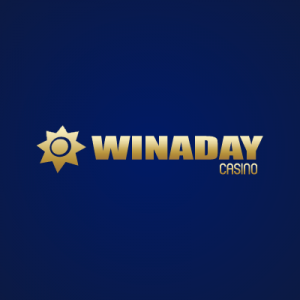 If you haven’t ever played at Win A Day Casino then you should certainly give it a try. The site announces bonus programmes from time to time and there are also lots of tournaments you can participate in. In fact, if you sign up at the site, then you can get a welcome bonus of $500. You can use this to try out a whole lot of games. There is also a promotion available for a limited time to get you to try out the Robot Escape game. Go ahead and sign up at the site, you’ll find yourself coming back for more!